Domino Sugar is offering a welcome bonus of $5 to new Upromise members, just enter the code DOMINO5 when you sign-up. I saw the offer advertised in the September issue of Better Homes and Gardens magazine. You enter the code under “Tell Us More” section at the bottom of the registration page. Upromise is a free and easy way to save money towards college, you earn money for your account just by doing your normal shopping by linking your credit cards and store loyalty cards (like Kroger, Randalls, CVS). Check out the eCoupons under the “Coupons & Deals” tab, and if you buy any of those products listed you will earn the coupon value in your Upromise account. Already a member of Upromise? Don’t miss the Upromise $100,000 College Dream Sweepstakes where 10 people will win $10,000 each to use for college. Who wouldn’t want to win this prize? And please read Mommy Saves Best for the best shopping deals through Upromise partner stores so that your shopping can earn you even more money in your Upromise account. 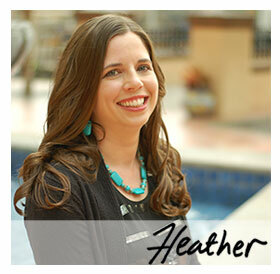 Hi Heather,Online shopping through UPromise.com is another way to earn money for college. After signing up using the links above, I encourage readers to visit my blog at Upromise (Mommy Saves Best) where I dish about the best Upromise partner store deals out there to help members maximize their savings. Here's the link: http://bit.ly/nHQdx.